Growing up in Cherry Hill at Temple Emanuel, Marissa was given a huge foundation for her Jewish identity. She attended Hebrew school all the way through 12th grade, participated in youth group, taught Hebrew and Religious school, and was a camp counselor at the preschool over the summer. Marissa graduated from Muhlenberg College in Allentown, PA with her Bachelor of Arts in Psychology as well as her Elementary Teaching Certificate for grades K-6. At Muhlenberg, she spent all four years there working at Hillel. It was by far one of the highlights of her college experience. 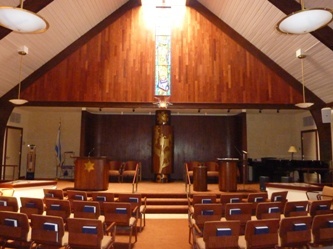 Marissa’s synagogue growing up was her home away from home. 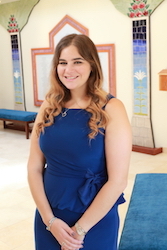 She understands the importance of incorporating Judaism into everyday life, and is looking forward to helping instill that ideal into members of this congregation. In her free time, Marissa loves being with my family and friends, trying out the newest restaurant, seeing the most buzzed about movie, or, of course, shopping. Anytime you happen to be in the building, please stop by her office and say hello. Her door is always open to talk about the daily happenings at the Temple, the latest movie or television show, or just to say hi.